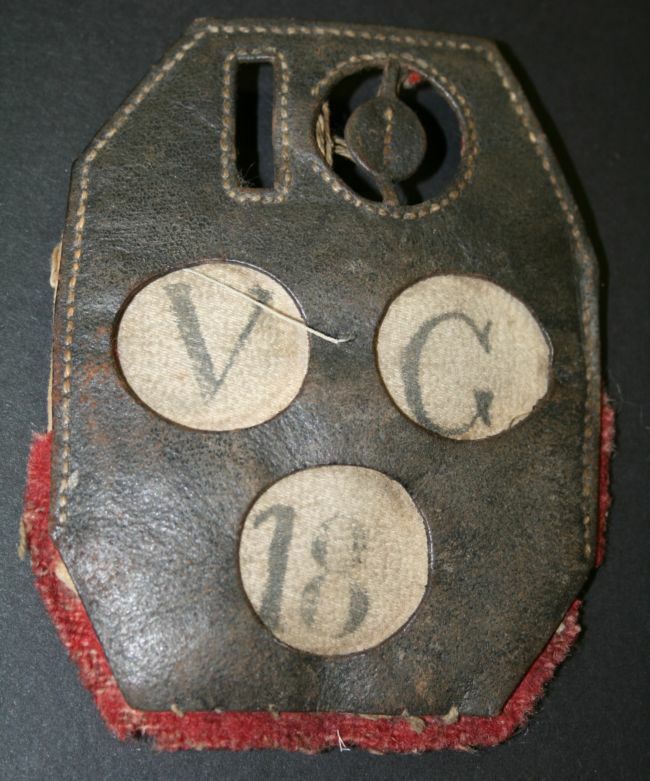 By the 19th century badges became integral to the identification of prisoners. There were badges that identified the prisoner by his cell number and position of his cell on the landing. But this particular badge shown below is a good conduct badge. The number 10 at the top of the badge is the number of years the prisoner has been sentenced for either transportation or penal servitude. 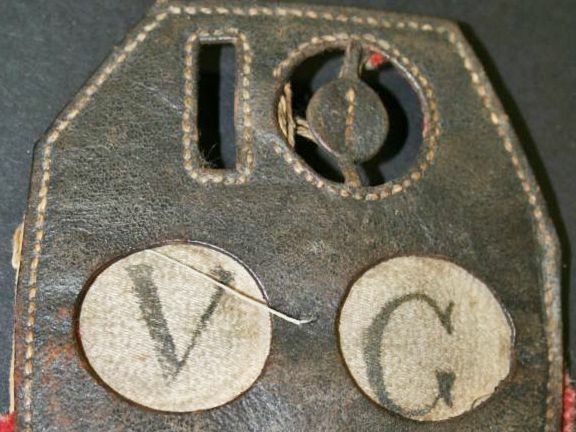 The V G represents that the prisoner’s conduct has been Very Good all the time he/she has been in the prison or hulk. The 18 is the number of months the prisoner has been on the hulks or in prison. Both these forms of badges were principals that Elizabeth Fry suggested. The conduct badge was also used in the Reform School, in Chelsea, that she established in 1825 for female juvenile delinquents and offenders.